When creating a brand identity for a community, it is important to consider what your unique value proposition is and who will be the most attracted to it. Start with a renter in mind. Imagine what the experience will be like when a prospect tours your community, signs a lease, moves in, and lives in your community. Why will this person choose to live in your community instead of your competitors? Do they think about the design of the community, the new location they have access to, or the people they plan to invite to the rooftop lounge for drinks? Think of two or three words or phrases that encompass what life will be like in your community. Once you know what you want your brand to represent and who you are attracting, you’ll need to develop brand elements and materials. You need to develop a name, imagery, fonts, copy and logos that match your brand. Make sure to put these brand elements and materials in a brand guidelines document so you can refer to them later and share them with the marketing employees or agencies you work with. Once you have a brand you will need to give it a digital home. Designing a website is an essential part of developing an online presence and marketing a new community. Websites build trust, give prospects a place to find your community, provide you with a platform to showcase information about your community and help you collect leads. A landing page is a good starting point for a new lease-up community. While you will definitely want to evolve your website to include multiple pages that feature your amenities, floor plans, gallery, neighborhood, and contact information, most communities don’t have the necessary information to develop these pages right away. Take the first step and begin to build your presence with a landing page that makes it clear to visitors that you are an apartment community and what stage of the leasing process you are in. Are you pre-leasing yet? Do you know a rough time frame for when you will open your doors? Share this information with prospects so that when they land on your page, they find the information they are looking for. Make sure to include information about your location, any real images or renderings you may have, video content, and a call to action. A popular call to action new communities use is “Join our VIP list”. Building up an email list of people interested in your community is a great way to collect leads at the beginning of your marketing process. Create a newsletter opt-in form on your website so that you can collect the contact information of prospects in anticipation of when you start accepting lease applications. Google’s analytics platform allows you to collect website data and analyze how many site visitors your website is bringing in, how long they stay for, what they click on and what marketing channels brought them there. Setting up a Google Analytics account is an essential step in tracking the performance of your marketing efforts and learning about how prospects engage with your site. You should set this account up the day your website goes live. When you search for “apartments near me” in Google, communities with Google My Business accounts nearby take up prime real estate at the top of the search engine. This provides communities with a great opportunity to get organic traffic to their website and increases the likelihood that people will seek you out on Google, see your location, find directions in google maps, and stop by your community. 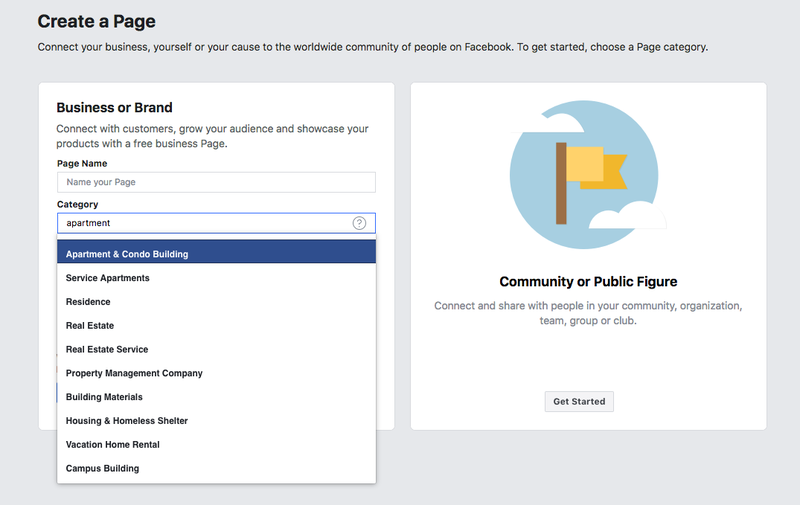 The first step you should take towards creating a social media presence for your community is to create a Facebook business page. When creating a page, select the local business option and under categories select the “Apartment & Condo Building”. For your profile picture you can use your logo and for your cover photo, you can use a picture of your community, renderings or a graphic designed to say when you will begin pre-leasing. 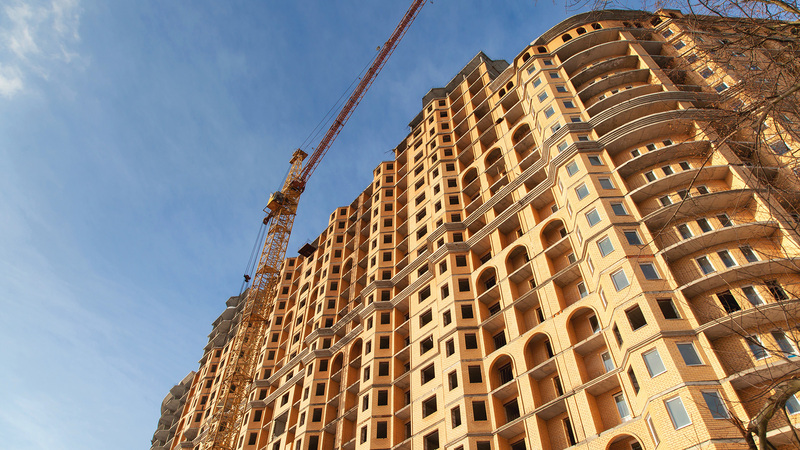 With this page, you can create Facebook posts throughout the construction process and pre-leasing phases. You can use this Facebook page to create events for your grand opening and Saturday open houses, and send people to your event page to RSVP. New websites don’t rank well in search engines. They haven’t built up signals that tell search engines that they will provide users with the information they are looking for. The competitors in your area competing for the same keywords as your community will see an advantage in the search engines from having more established websites. In order for your community to capitalize on search engine traffic, you will need to invest in paid search advertising. When designing a paid search campaign for a lease-up, you will want to focus your efforts on getting as much traffic as possible from non-brand keywords. Since your community is new, and your brand isn’t established you will want to focus more of your budget on bidding for keywords that are location based. However, that isn’t to say you shouldn’t spend on brand keywords. You should still allocate a small portion of your budget to brand terms. As you build up your brand with brand awareness campaigns, searches for your brand will start to grow and you want to make sure to still capture these leads as well. 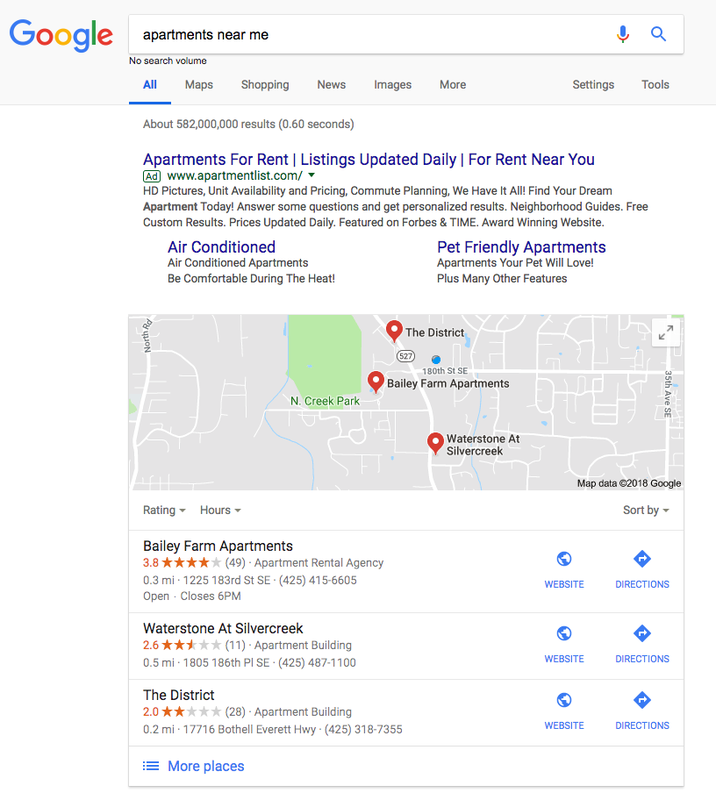 When creating paid search ads for lease-up communities, it’s a good idea to highlight the fact that the community is brand new and to start bidding on keywords that include “new apartments”. If you know when your community will start leasing or when people can move in, include this information in the ad so that only qualified prospects that are able to work with your move-in date will click on the ad. If you are offering any pre-leasing specials, include them in the ad copy and make sure to highlight any call to actions you are using, such as “join our VIP list”. Banner display campaigns and social media advertising can help you expose your brand to thousands of prospects. If you have high-quality renderings or real images of your community, include these in Facebook campaigns and Instagram campaigns. If you have video footage, consider sharing it via Youtube or Facebook and putting some ad dollars behind it to get it out to as many prospects in your target market as possible. If you are using any pre-leasing offers, banner campaigns and Facebook campaigns are a great way to highlight these to prospects. When you start the leasing process and you have a lot of visitors coming to your site, you will want to capture as many of these new leads as possible. Live chat can help your community answer questions and schedule tours right from your website. Not all prospects are ready to call communities on the phone or tour in person right way. Providing those leads that are still early in the process with a way to gather necessary information will help you by freeing up your community’s time while generating leads you may not have captured otherwise. Email campaigns are a great way to reach out to prospects who showed interest in your community prior to the leasing process. If you use the marketing strategies listed above to build up an email list of interested prospects you will want to capitalize on it. Email campaigns are a great way to market a grand opening or remind previously interested prospects to tour your community now that you are open. Email campaigns are also a great way to show off any offers your community may be utilizing to fill up new units. Don’t let them forget about you. Follow up with people who visit your website with banner ads and social ads that target previous website visitors. Maximize your ROI by seeing the initial leads you invested in through to the end of the process. Remind those people who visited your website that you are now ready to take leasing applications and why they should come back for a tour.